Do you know these people? Calamity Clinker, Peggy Lou Sneed, Abigail Nightingale, Masquaw, Clariee, Rose, or 1st Sargent? 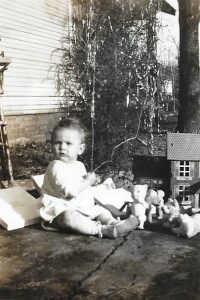 What about Babe, as her husband called her; Jody, her nickname in high school; or Mother as her only child, Debbie, calls her? Did you answer no? Well, you are totally wrong. They are all Jo Ann McKinney! These are not criminal aliases but her roles in plays, dinner shows, or re-enactments. You see, Jo Ann is a singer, actor, re-enactor, former insurance worker, and a member of Middle Cross Baptist Church. But, let’s start at the very beginning to learn more about Jo Ann. She was born to John and Anna Mae Rawlston. John, was a deacon and he sang at church. Maybe that’s where Jo Ann got her talent! Anna Mae was a stay-at-home Christian mom. Jo Ann had two brothers and two sisters. 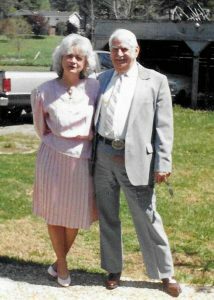 Judy and Garry are deceased and Joel lives in Ringgold and Carol in Fayetteville, Georgia. Jo Ann was born in Chattanooga and lived in North Chattanooga as a child. She attended Normal Park Grammar School, Northside Junior High School, and Chattanooga High School. “I was saved when I was 10-years-old at a revival at Northside Baptist Church in North Chattanooga. “I attended Northside Baptist Church for about 20 years. Jo Ann started work in 1956 and married Larry McKinney in 1958. He passed away in 1996. They have one daughter, Debbie McKinney, who is a registered nurse and works for Blue Cross Blue Shield. Like her mother, Debbie, has the acting bug and a good singing voice. Jo Ann worked for 43 years in the insurance business at the same desk, same job at Provident (name changed to Healthsource and Cigna). 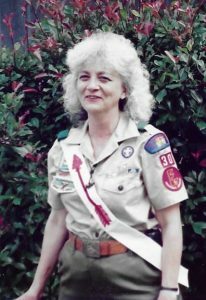 Jo Ann was a staff person for the Boy Scouts of America at Camp Skymont from 1980-1985. “In the early 60’s my husband was approached about being a Scout Leader for the Boy Scouts,” say Jo Ann. “He had been an Eagle Scout himself so he said he would give it a try.” The old Eagle Scout oath states, “I will give back to scouting more than it has given me.” Women were admitted to the Boy Scouts in the mid-60’s and Jo Ann joined as an Associate Advisor. She has accrued many awards throughout her more than 40-year tenure in the Boy Scouts of America. 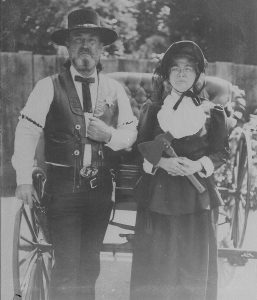 Larry and Jo Ann had high school age boys and girls in their post, and, as an activity, they took up re-enacting. “We would pay for a school bus and we took around 30 young people on about 20 weekend trips a year to re-enact both the Revolutionary War and Civil War. 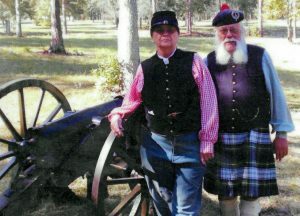 “Since about 2010 I have been active on a Civil War cannon crew,” says Jo Ann. In the 70’s they were attending Stuart Heights Baptist Church, which had programs for the girls called GA’s (Girls Auxiliary) and programs for boys called RA’s (Royal Ambassadors). 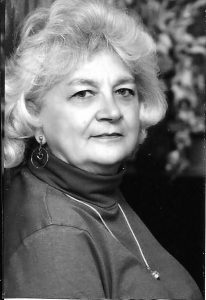 Jo Ann was the leader of the GA’s for several years. All this time Larry was working full-time for the Chattanooga Fire Department. “Larry retired from fire department in 1986. 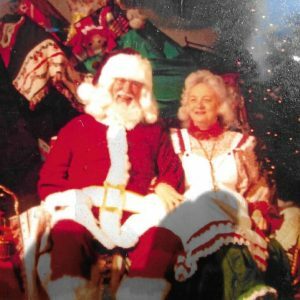 But, he couldn’t stand being idle, so he got a job at Silver Dollar City,” says Jo Ann. 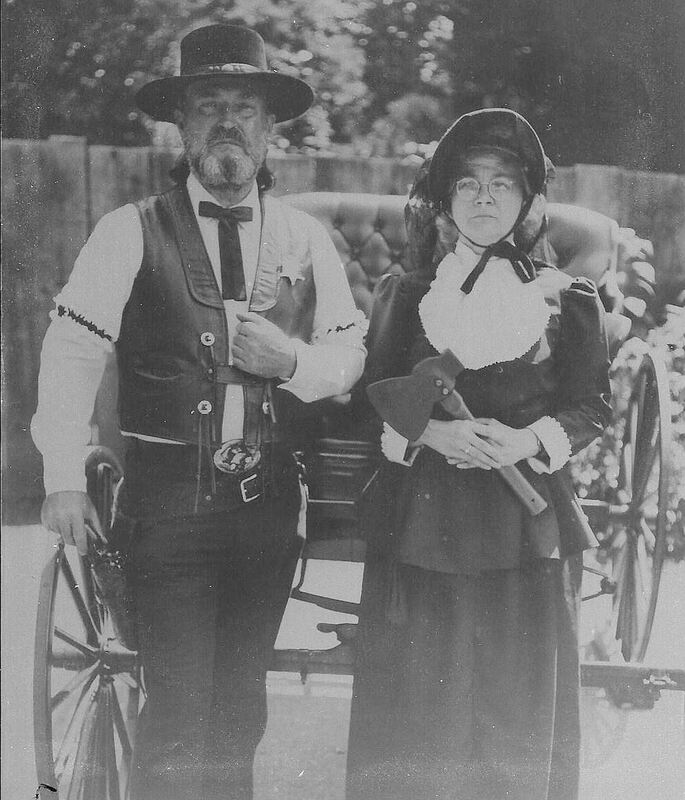 “I drove up to see him on weekends, so I got a job as Carrie Nation in the Saloon Show (no alcoholic) on the weekends.” She performed in the Saloon Show for three years and at the Hampton Dinner Theater for more than seven years. She met with a group of people that did Single Action Shooting in 1998 and found that she liked that, too. 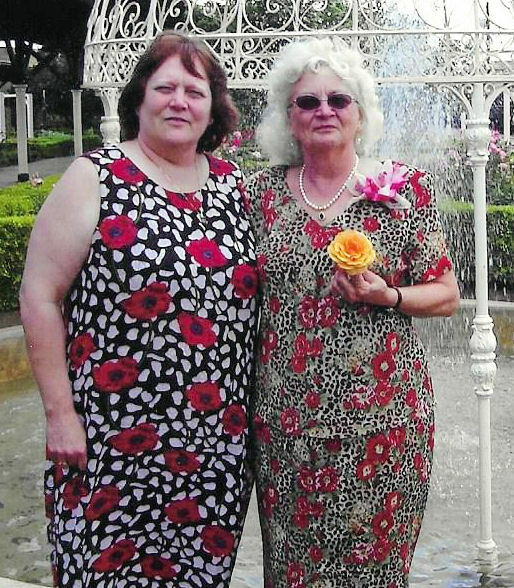 She participated in this for a few years, working with her daughter, Debbie. crew (the one who pulls the lanyard to fire the cannon). “He sold the cannon in 2016, so I lost my job,” Jo Ann says. She also acted at the Vaudeville Dinner Show in Chattanooga on weekends for 7½ years and has been in numerous plays and dinner shows since then. Members of Middle Cross Baptist Church gathered together and attend two of her plays at the Colonnade in Georgia. She now spends her spare time reading, sewing, writing poetry, and traveling. She also dabbles in painting. “I took piano lessons for four years, but can’t really play,” Jo Ann laughs. “It seems as though I have had a colorful past. God willing, and if my crayons don’t break, I’ll have a colorful future, too.